Fungi are widely distributed in the environment, yet systemic fungal infections occur infrequently in normal individuals. 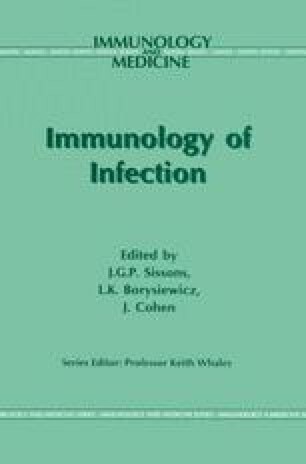 Recently there has been a significant rise in the incidence of opportunistic infections in patients with impaired host defences, in part due to the increasing use of antineoplastic and immunosuppressive agents, and more recently as a consequence of human immunodeficiency virus (HIV) infection. In this chapter we will summarize some general aspects of fungal immunology, and then give a more detailed account of host responses to the important opportunistic and primary pathogenic fungi. Tropical mycoses and dermatophytes have been excluded.